Having a pizza place that stands out from the rest is important. With all of the different pizza shops out there, you want to make sure that you are somehow different from all of the others. You want to be able to cater to customers who love the traditional and want the classic pizzas with all of the toppings they love. 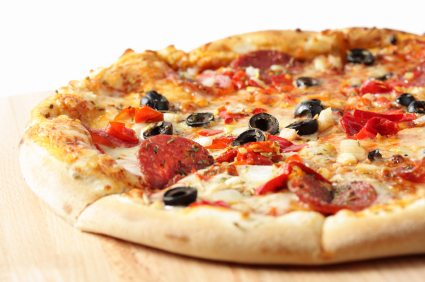 For this reason, you need to take great care when you are creating your pizza shop menu. Here are some of the things that you may want to consider and types of pizzas that you might want to include on the pizza menu. Pizza is popular for many reasons. It is an affordable food, it tastes great, and there are so many different variations, thanks to all of the different toppings. While there are many options, you will find that people tend to gravitate toward the classics. They want to have pepperoni, sausage, mushrooms, green peppers, onions and all of the toppings that they remember from growing up. These comfortable, familiar flavors should be a part of your pizza shop menu. If you do not have them, then you could be losing some valuable customers. Even if you plan on including the classics, this does not mean that you have to ignore trying something new. In fact, it might be a good idea to with experiment new pizza combinations and see what your customers have to say. As mentioned, the classics are classics for a reason. However, you will need to take some risks when it comes to creating specialty pizzas that are a bit different from what you might find elsewhere. You can stick to some relatively safe choices, such as barbecue chicken pizza, chicken Alfredo pizza or buffalo chicken pizza. However, you can also get more exotic and start looking to add some truly unique creations to your pizza menu. Consider some unusual meats that you might want to try on your pizza, such as buffalo meat or even ostrich. Bacon works well with on certain types of pizza. Consider some vegetables that you might not normally combine with pizza, such as sundried tomatoes or artichoke hearts. Some pizza shops are even making deep dish style pizzas using mashed potatoes as one of the ingredients. One of the best things about pizza is that you have so many different options, it is almost impossible to run out of creations, Start thinking outside of the box. While it can be fun to create all sorts of new and different types of pizzas, you have to be careful about adding them to your menu. You don’t want to add too many varieties at once until you have tested them out. Don't overspend on ingredients that you many not end up using. Rather, introduce one or two pizzas at a time and then see how well they do. If they don’t sell, don't put them on the menu and keep on trying.